The term refers to the number of people living within a certain area, usually a metropolis, city, town, village or regional area, most frequently designated as “urban areas.” The density can be measured by the number of people per square kilometer (km2), or square mile (m2). 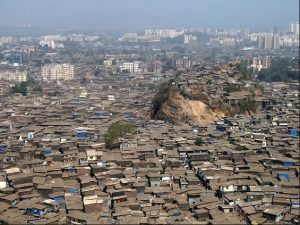 As more and more people across the globe move to urban areas, the density in the urban areas, especially in Asia and Africa, certainly seems inevitable. To give a sampling of the relative density of various cities across the world, in 2016, Dhaka, Bangladesh was the most dense with 44,100/km2; Mumbai, India (#5) had a density of 26,000/km2. Genoa, Italy (#348), had the highest density in Europe with 7,900/km2; London, UK (#524) had 5,600/km2; Belfast, UK (#752) had 3,700/ km2; Dublin, Ireland (#779) had 3,500/km2; Glasgow, Scotland (#796) had 3,300/km2; and, the New York-New Jersey-CT area (#925) had 1,800/ km2. Of the ten most dense urban areas, with more than 2.5 million population, seven are on the Asian subcontinent; two are in Colombia; and Hong Kong is included. Of course, how the geographic reach of any “urban area’ is measured for density purposes can be different between cities, countries and years. Sometimes only the city, or inner city, is the unit for measurement; sometimes the surrounding area, even including suburbs, is included. For example the Demographia numbers above list Dublin with a density of 3,500/km2, while a more specific density analysis showed a density of 4,588/km2 for Dublin City, and a density of 9,185/km2 for Dublin City Centre (the area between the canals). Typically the more some suburban area that is included, the less dense the “urban area” is. Identify any benefits and/or detriments that density presents for efforts to address climate change in cities. Identify several cities where the density has declined over the past 50 –100 years, and determine what caused the decline. Identify several cities where the density has risen over the past 50 –100 years, and determine what caused the rise. Demographia: World Urban Areas – 12th Annual Edition (April 2016). The report applies a generally consistent definition to “built-up urban areas”. Ben Adler, “Thanks to social change, urban density ain’t what it used to be,” Grist (8 July 2015).